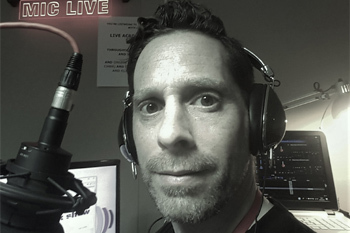 From 8pm until 10pm every Monday night, you can hear the best mix of rock music on It Could Get Loud!, presented by Mark O’Brien. Exploring all genres of rock including classic, heavy, indie, punk, prog, alternative, metal, garage and more if you like your music mainly guitar driven this show is for you. A big part of the show is to feature local musicians and bands and get their music out there for people to hear. Working in conjunction with Live Bands Cornwall, there is also a weekly run down of up and coming gigs, events and other local music news. If you’re a musician or in a band and want one of your tracks played, or if you’re a listener and want to request a song and get a shout out on air, get in touch either through the show Facebook page or send Mark an email.